NAJMA GLOBAL brings to you an extensive variety of well established and rapidly growing mobile services which are innovative, of premium quality and in high demand by the mobile subscribers. 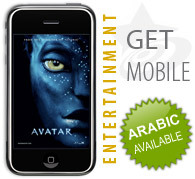 With a significant market penetration in MENA, we analyze each region to meet the demand of localized content as well. NAJMA GLOBAL's SMS platform offers its subscribers information, tips and content on various topics and issues of their choice, including branded and non-branded News, Stock Market, Islamic Content, Jokes, Star Sign Forecasts, Beauty, fashion, Health, social networking SMS and many others. Through our standardized connection protocol, NAJMA GLOBAL provides subscription based MMS content under various categories including News, Business, Entertainment, Sports, Health, Islamic and Fashion. NAJMA GLOBAL also offers its end users some exciting and fresh multimedia content that is compatible across several handset manufacturers. Some of our multimedia content comprises of Ringtones, Java Games, Backgrounds and Themes, Graphics, Music and Videos. We have licenses for a wide variety of content to be used on the 3G network. Our services include Video services as VOD, Live Entertainment, AOD (Audio on Demand), Video RBT, Video SMS etc. available as live streaming or full track downloads. We bring to you some unique and highly demanded ring back tones, offering our subscribers an opportunity for personalization and self expression. As users have ability to select their own RBTs, this has proven to be a great means for fostering loyalty among the subscriber audience. An extensive variety of well established and rapidly growing mobile services which are innovative.. Create and launch any multi-faceted interactive SMS service utilizing our custom-built SMS Messenger system..
We have partnered with some of the best content providers in the Middle East to channelize their Setrvices to the mobile audience..
Our Content Management and Delivery Platform is designed to offer network operators and multimedia content..
We deliver web 2.0 design services of any complexity to clients all around the Middle East Region..
With technological advancements and transformation of cellular technology, mobile messaging has been..